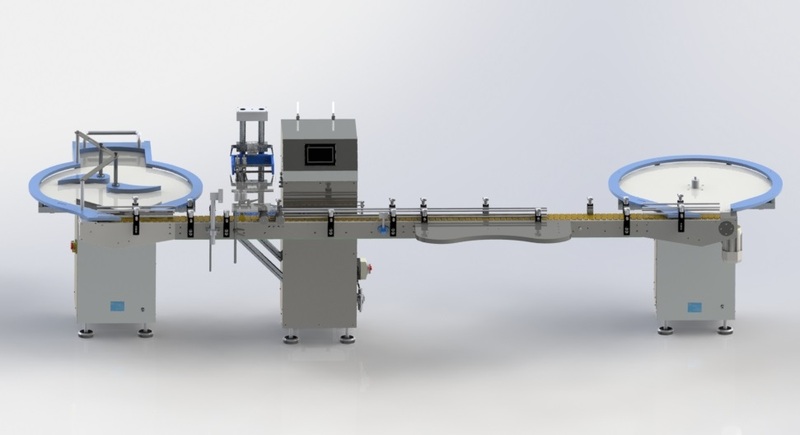 Automatic Bottle Filler Machine to Fill Liquid and Cream. The AF 0020 is a small Volumetric automatic bottle filler machine therefore a cost effective volumetric filler for liquids and creams with twin nozzles. It comes with a choice of gear pump dependent on fill size. The filler is operated as a continuous fill, similarly single fill or likewise a timed fill and in contrast has the ability of four stage filling. Using accurate and repeatable servo filling technology, primarily used in the cosmetic also the toiletries markets by companies with small to medium scale production runs. It has been used for other applications so please ask about yours. 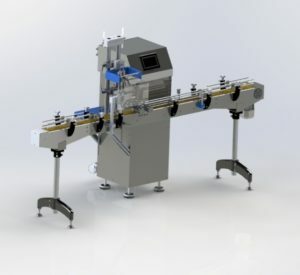 The product to be filled is drawn up a hose by the gear pumps, you can set the amount to be filled on a touch screen display; this machine has an automated dipping pneumatic nozzles. Unsure of the liquid filling machinery you need, but know the output that you would like your Volumetric filling machine to achieve. Then consequently this chart gives estimated outputs to help you get an idea of the liquid filling machinery that fits your requirements. Output will vary depending on the fill size, viscosity of the liquid and the type of container. So please contact a member of our KBW team for project specific advice on the best filling machine for you.